Bankruptcy can seem like the end of the world and may be very frightening. However, bankruptcy may be a lifesaving act that helps you get back on your feet. 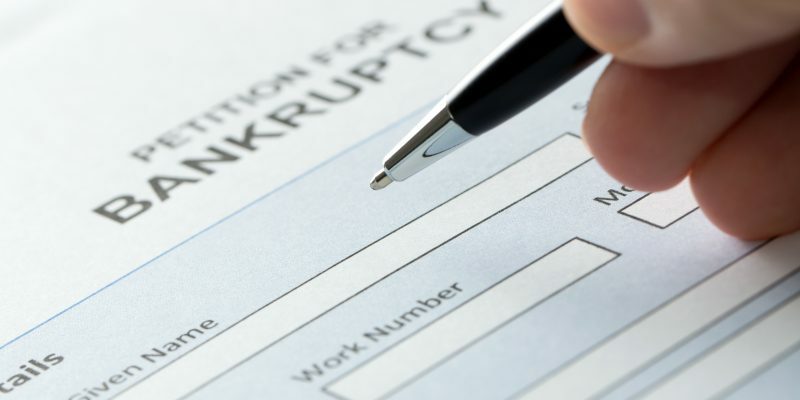 You will learn what actions you can take in filing for bankruptcy protection by contacting an experienced bankruptcy lawyer. If your home is facing foreclosure, an attorney can stop the foreclosure process by helping you file for bankruptcy. Bankruptcy also helps get creditors to stop harassing and contacting you for money that you owe. You have rights and are entitled to protection under the Bankruptcy Act. Chapter 7 bankruptcy may not be your best option or it might be just what you need to get back on your feet. The type of bankruptcy you file will ultimately depend on your personal situation. Chapter 7 bankruptcy and Chapter 13 bankruptcy are completely different from each other. Chapter 13 bankruptcy does not require the selling of assets to pay for outstanding debt. Under Chapter 13 bankruptcy, the individual can restructure his or her finances with the intention of paying the money owed to creditors. With the help of an attorney, filing Chapter 13 bankruptcy will stop the creditors from calling and harassing you. The restructuring plan of your finances will have a certain period in which your debts must be repaid. The court will appoint a Trustee to be in charge of your debts and will work with your attorney to make sure the financial obligations are met. The laws governing bankruptcy claims are many and may change. To help you understand your rights and the entire bankruptcy process, you will want to contact an attorney right away. Please contact the experienced bankruptcy attorneys at Jacoby & Meyers, LLC to help you form a plan of action for your bankruptcy. It is important that you do not attempt to file a bankruptcy yourself. An experienced bankruptcy attorney can help you decide which bankruptcy type to file so you can have a fresh start. We serve clients nationwide.